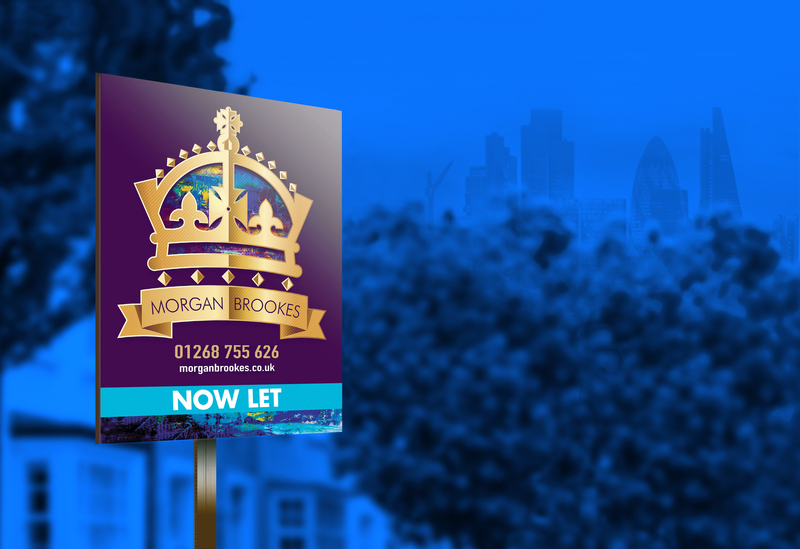 Before you start letting a property, there are a number of extremely important legal requirements to take into consideration and, at Morgan Brookes, we can help steer you through your obligations and requirements as well securing you a reliable and vetted tenant for your property. Being a landlord includes many different responsibilities and it’s important that you know what these are before you start so that you can decide if being a landlord is right for you. Below we have put together a guide for you, some of the things you need to know and consider when becoming a Landlord. You must ensure that your property is a safe place for your tenant, which includes a gas safety certificate, electrical certificate or an appliance check and a Legionnaires certificate. By law you must ensure the property has a smoke alarm on each floor along with a carbon monoxide alarm prior to the tenants moving in date. Your Morgan Brookes advisor can help you to make sure that your property is ready for your new tenant to move in. To keep in good repair and the correct working order installations for the supply of water, gas, electricity and sanitation (including basins, sinks, baths and sanitary conveniences (toilets) but not on other fixtures, fittings and appliances for making use of the supply of water, gas or electricity). To keep in good repair and correct working order installations for space heating and heating water. There are several ways in which a tenant can take action against their landlord in the event of a repair problem. However, the typical form is to call the Environmental Health Department. They may then inspect the property for risks under HHSRS, so landlords should be mindful of potential risks within their properties. HHSRS covers things such as: damp and mould, excess heat/cold, pollutants, hygiene, falls, electric shock, fires and burns. We recommend you familiarise yourself with these documents, but of course we are on hand to take care of things for you. Prior to advertising your property to let there are some essential things to put in place: The following guidelines are for standard lets. (HMO rules vary considerably, and we can advise on these if needed). All gas appliances in a let property must be safety checked by an approved Gas Safe engineer every year, or sooner if a problem is reported. A copy of the certificate must be provided to the tenant within 28 days of testing. Should a fault be found it is an offence to continue using the appliance. Non-compliant landlords face heavy penalties including a fine of up to £5000 and/or imprisonment. As part of our managed service we will keep records of all Gas Safe Certificates and ensure they are kept up to date. EPCs became compulsory in 2008. A property cannot be marketed for let without a valid EPC in place. An EPC which is valid for 10 years, provides an energy rating on the efficiency and environmental impact of a property. A scale of A to G is used, with A being the most efficient. As of 1stApril 2018, all new let’s must have a minimum rating of E. This will roll out to all rental properties in April 2020. Unlike gas safety regulations, currently there are no hard rules concerning electrical inspections. However, under the Electrical Equipment (Safety) Regulations and Plugs and Sockets (Safety) Regulation and the Consumer Protection Act 1987, A Landlord is responsible for the safety of their tenants. If an incident was to occur, the landlord would need to provide evidence that they had taken measures to insure the tenant’s safety and may be liable to prosecution and heavy fines or imprisonment if unable to do so. We would therefore strongly recommend that electrics are checked by a certified electrician and an Electrical Safety Certificate obtained. These will last for 5 years and costs vary, we can obtain quotes for you if required. Supplied furniture must meet the standards of the Furniture and Furnishings (Fire Safety) Regulations 1988, which means they must be fire and cigarette resistant and be fitted with a permanent safety label. Curtains and carpets are exempt from this. We recommend you leave only the minimum of furnishings. The majority of properties on the letting market are unfurnished. A good definition of this term is that carpeting or flooring, curtains/blinds and a cooker. It is a legal requirement to have smoke alarms fitted at the property. You need a minimum of one on each floor which need to be checked regularly. If your property has any solid fuel appliances, you also need to install Carbon Monoxide Alarms in those rooms. At the moment, this does not include gas central heating or cookers but we would still recommend one is installed as an additional safety measure. Landlords are obliged to take steps to combat legionnaire’s disease. Regular Risk assessments should be carried out at the property. Control measures such as flushing outlets for 2 minutes plus, disinfecting outlets (especially shower heads) and avoiding debris build up in water tanks. There is currently no legal obligation to have a professional certification for legionella, but we can arrange these at a reasonable cost. When renting your property out you will be most likely be asking your tenant for a security deposit. By law you are required to deposit this into a tenancy deposit scheme (TDP) until your tenant vacates the property. There are two kinds of scheme available; Custodial Scheme – Put simply a Custodial Scheme is one whereby the scheme provider takes full responsibility for the safety deposit, holding throughout the period of the tenancy and repaying it to the tenant once the landlord has confirmed that it may be released. Insured Scheme – with an insured scheme, the landlord keeps hold of the security deposit and pays to the TDS to protect or insure that deposit. The landlord is then responsible for the safe keeping of the deposit and repayment to the tenant at the end of the tenancy. Choosing an insured scheme means that if, for whatever reason, the landlord is unable to repay the deposit at the end of the tenancy, the TDS will make payment to the tenant on the landlord’s behalf.